Leave a Comment on How Much Sleep do we really Need? In recent years there has been a growing trend of needing to wake up earlier to accomplish more tasks in the day (the entrepreneurial lifestyle). With online videos and interviews with some of the wealthiest people in society there is a common correlation between waking up early and having a larger pay-check at the end of the month. It is then to some extent understandable that with the choice of money and health, money in some cases will come out on top. With people constantly checking their phones and electronic devices, is it possible to sleep early and get the rest you need? Across the globe there are occupations requiring shift work. From doctors to paramedics, to firefighters, the change in shift pattern can result in an interrupted sleep pattern. This has been believed to be correlated with an earlier mortality rate due to not keeping the same sleep pattern. 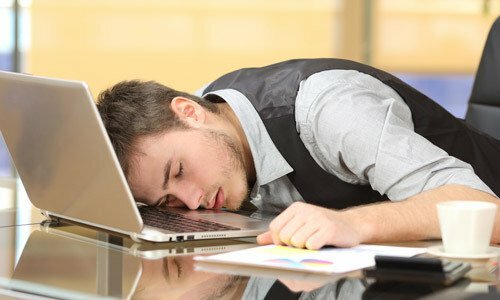 However there are multiple examples of people not getting adequate sleep; in South East Asia Japanese company workers are working for multiple hours, (many up until the late hours of the night) and Korean high-school students are getting around 4 to 5 hours sleep due to the pressures of the pre-university exams. Indeed working parents must find little personal time let alone sleep due to jugglling both work and home commitments and there are the likes of bankers in the West who work up to twenty hours a day and will go home and shower and return for the next bout the next day. Many of us will also be familiar with celebrities who post on social media rising in the early hours to meet the day head on. Can we do the same whilst holding normal day to day jobs? There are some medications to help us with getting the sleep needed. For example Melatonin, Sleeping tablets, homepathic sleep remedies, some teas and even ZMA (Zinc Magnesium and Vitamin B6) however there are claims that these medications do not allow the body to get ‘true sleep’ and the likes of Melatonin could have harmful side effects – it is banned in many countries. So what do all these examples show? Well, on a ground level it shows that society and in some ways the media are leading us towards a lifestyle that is not sleep-centric. Otherwise we would all be sleeping like bears every night and that would be the social norm. On the other hand it is deemed a requirement by leading health professionals to sleep eight hours every night. In fact, a go-to response from a doctor for any ailment will be ‘to go home and get some rest’. Therefore sleep is a requirement for repairing the body. After analysing the scientific evidence it is evident sleep is required; a period where the body will repair any muscular damage, release growth hormone, shows many hours of sleep is a necessity for health enthusiasts. A lack of sleep on the other hand has been linked to obesity, tremors in the body, growth suppression, type 2 diabetes, impaired cognitive function and a larger variance in heart rhythm and in turn cardiovascular disease. So overall from a medical perspective we should definitely try to sleep more, as surely the negatives from a lack of sleep far outweigh the positives, however will society and modern technology ever let us? Well if you want to become big and strong, try to be like the bear, eat a ton and get some Zzzzzzzzz.